Aster villa is a one-stop destination for the guests. The property is located at Sector 46, Gurgaon and famed for providing the best services to their guests. Every room is fully decorated with stylish electric light and beautiful hill valley curtains along with furnished with classy modern furniture. 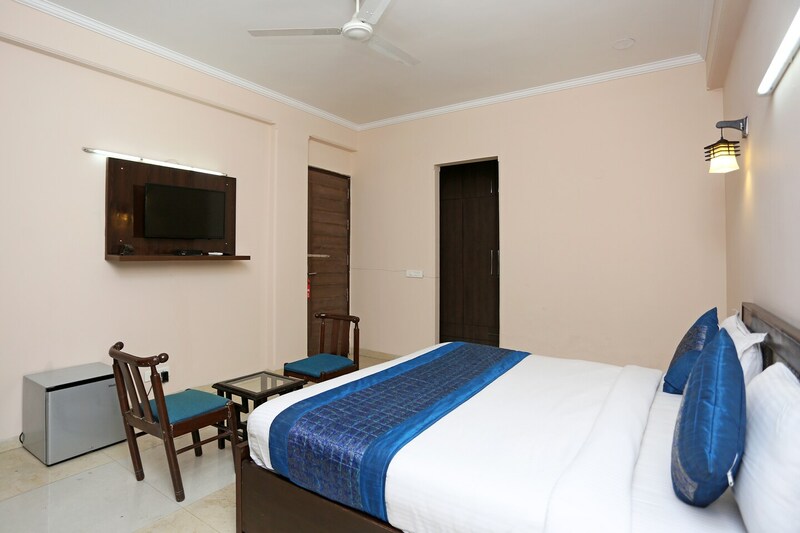 A accommodation is fully equipped with the wonderful latest facilities such as Free Wi-Fi, King-sized Bed, Power Back up, T.V, Complimentary Breakfast, Parking facility; First aid and round the clock security. Salad Diets, Bite Rite, Tandoori Trumpets, Bamboo house, Norenj wine, and Dine K Fresh Bear Cafe are among nearby eateries which are situated just a few steps ways from this property. It will take only ten minutes to reach there from this hotel.